FFA - Vonage stops advertising on Al Jazeera America. 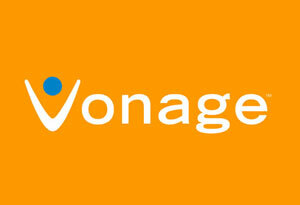 Vonage was the first and only new major corporation that advertised during the starting days of Al Jazeera America. Vonage stopped advertising on Al Jazeera America thanks to the emails of concern that Florida Family Association supporters sent to their corporate officials. Florida Family Association sent out email alerts on August 21 & 22, 2013 regarding Vonage's frequent advertising on Al Jazeera America. FFA supporters sent thousands of emails to company officials. Vonage advertisements stopped airing on Al Jazeera America on August 23, 2013. Florida Family Association initiated the email alert regarding Vonage advertisements before the company had a chance to respond to the initial emails from the Florida Family Association office. This faster initiation occurred because the Vonage ads appeared on the first day that Al Jazeera America officially aired on August 20, 2013. Nevertheless, Vonage made it clear that they were suspending advertisements on the channel. I wanted to provide you with some background information on Vonage's advertising guidelines. Vonage makes its advertising choices based on an established set of principles where we do not advertise on programs that feature explicit violence, explicit sexual content or coarse language. Vonage will not advertise on any programming that actively promotes discrimination against individuals based on race, religion, physical ability, mental ability or sexual orientation. The programming content on the new network, Al Jazeera America, will be subject to the same guidelines as the balance of our media purchases. Given the newness of the network and concerns around the historical content of programming outside of the U.S., Vonage has decided to suspend advertising on Al Jazeera America for the foreseeable future.